Home/ Epworth News/ Good Morning Mark Myerson! World-renowned orthopaedic foot & ankle surgeon Mark Myerson was guest of honour at Epworth on a recent Sunday morning, where he led a cutting-edge discussion on the diagnosis and management of patients with complex and challenging disorders of the foot and ankle. Dr Andrew Beischer and the Epworth Musculoskeletal Institute (MSKI) hosted the four-hour session which was attended by nearly all orthopaedic foot and ankle surgeons from Victoria & Tasmania. Nine patients attended this session and each had their specific foot & ankle problems assessed by the USA-based Dr. Myerson as well as the collective group of consultants. All patients left with a treatment strategy in place to address their clinical conditions. Senior nursing staff from 3 Cato wing as well as senior training registrars from Victoria and Tasmania who attended the Alan Kinkade Education Facility at Epworth enjoyed this special opportunity to learn from one of the world’s greatest contributors to an exciting orthopaedic subspecialty. Epworth Surgeon Dr. Andrew Beischer looks forward to this event (now in its second year) becoming a regular part of the annual Epworth Educational Calendar. 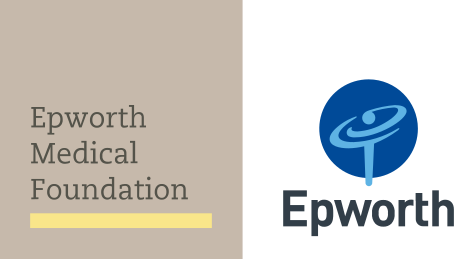 Profits made on the day were directed to the Epworth Medical Foundation (EMF) who has sponsored the Vietnamese Orthopaedic Observership Program for the last four years. A friendly collaboration between Australia and Vietnam encouraged by Dr Beischer. Special thanks to Infinity Medical who sponsored the meeting and also to Sam Zouki from Epi Café who kindly donated a coffees and muffins to patients, doctors, registrars and the staff who attended the meeting.